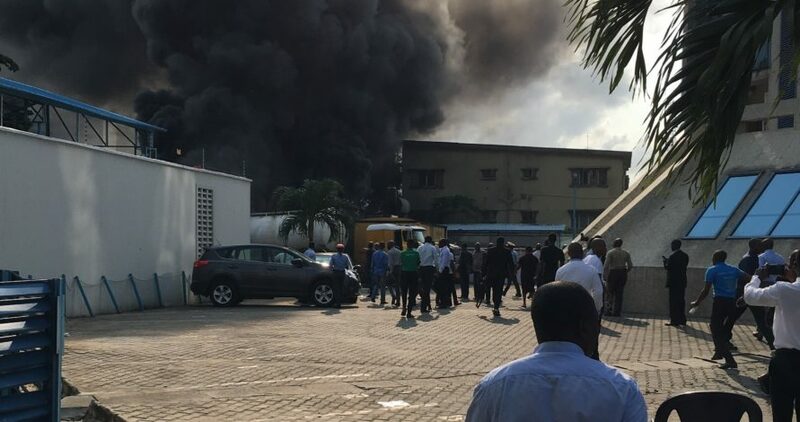 A fire incident was recorded on Tuesday morning at the corporate headquarters of Ecobank Nigeria in Lagos. According to the financial institution, the disaster was caused by a diesel tanker, leaving customers and officials of the lender to run to safety. Ecobank, via its official Twitter page, said officials of both the federal and Lagos State fire service have brought the situation under control. The lender said no live was lost to the inferno just as it emphasised that its building was also not affected by the fire. “Officers of the Federal and Lagos State Fire Service are here. Everything is under control. We appreciate your concern,” the bank said. “Thank you to everyone who said a quiet prayer. Thank you to everyone who wished us well. Thank you to our staff and customers who patiently waited in the safety area,” the bank posted. “Building remains intact and business as usual continues… with a bit of extra fire power,” the financial institution said further.